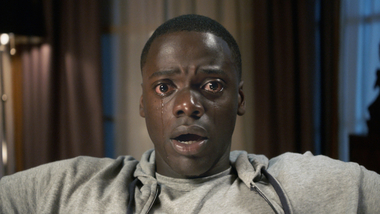 The Lowdown: Scary, darkly funny, and perhaps most importantly – thought provoking, first-time director Jordan Peele delivers an instant classic. There’s real genius at the heart of Get Out, a psychological horror film written and directed by Jordan Peele. Heretofore best known for his sketch comedy work in TV’s Key & Peele and last year’s funny (but fluffy) Keanu, Peele makes his directorial debut with the confidence of a longtime veteran. 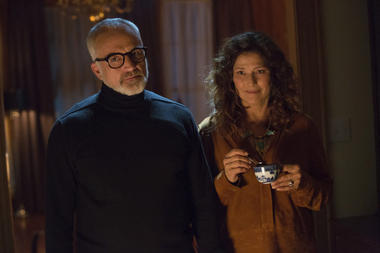 Get Out isn’t merely a horror film—it’s a pitch-black social satire. It’s also absolutely riveting from it’s disturbing prologue to its arguably punch-pulling closing moments. A third-act, headlong dive into full-on traditional horror flick ideas is mildly disappointing, but only because everything that precedes it feels so fresh. The set-up is straight out of Guess Who’s Coming To Dinner, with twentysomething couple Chris (Daniel Kaluuya) and Rose (Allison Williams) about to embark on a road trip to see Rose’s folks. Chris, a photographer, is black. He wants to know if white Rose has informed her parents. She assures him they’re the farthest thing from racist, with her primary evidence being her father’s admiration of Obama. Rose is all “color blind” idealism, but Chris remains wary. Upon arriving at the Armitage household, Chris immediately realizes he was correct in his suspicion that race would be an issue. His TSA-employed buddy Rod (Lil Rel Howery, providing sharp comic relief) tried to caution him. down with black people” claims, have no problem employing exclusively African American help. Their maid and groundskeeper strike Chris as absurdly subservient. By the time Missy, a hypnotherapist, expresses an interest in “curing” Chris of his smoking habit, it has become clear that mind games are being played. Maybe Rod’s most paranoid warnings are true. In Get Out, Peele reminds us that racism in American is not exclusive to the uneducated or openly bigoted types. The annual gathering of friends at the Armitage house, something Chris was not expecting, is packed with upper-class liberals. They admire what they narrow-mindedly perceive to be “black” attributes (with an emphasis on athleticism, based on what one character calls their “genetic makeup”). For all their declared progressive thinking, these elites see blacks as another possession (just not quite in the same sense as the slave owners who founded the country). As if ongoing white privilege wasn’t enough, the Armitage family and friends are intent on taking cultural appropriation to a terrifyingly new level. Lest anyone get the idea that Get Out is a preachy sermon of social injustice, the film works perfectly well if you chose not invest time thinking about its metaphorical messages. It’s scary, weird, funny, and very unsettling. 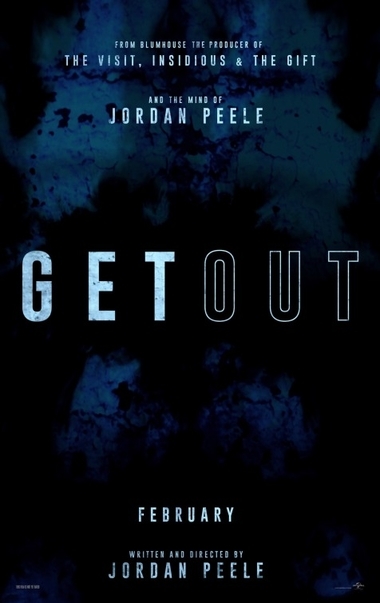 What makes it special is that Peele has larger ideas to convey and he has laced them throughout his film, instilling Get Out with a thoughtful heft that transcends limiting genre categorizations.